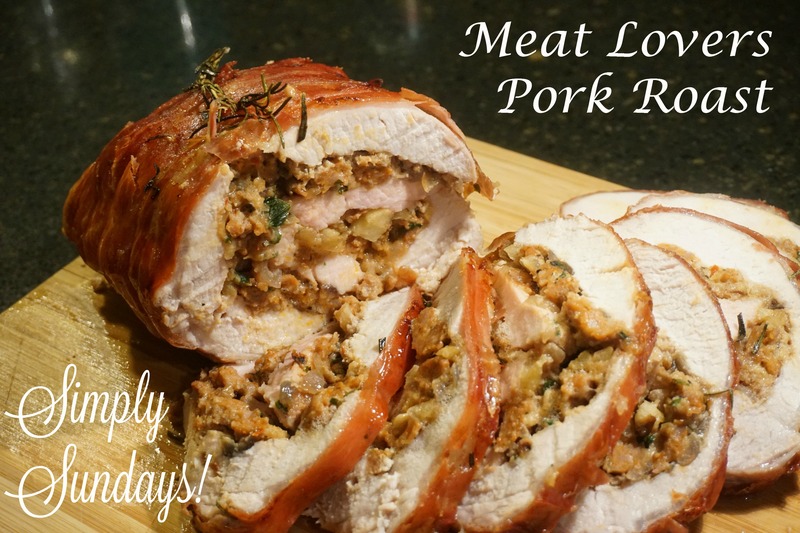 Meat Lovers Pork Roast – Simply Sundays! You may ask what made me decide to make this meaty behemoth? Welcome the Meat Lovers Pork Roast! Now I bet your saying okay, nice, but what makes this a Meat Lovers Pork Roast? Slice and serve with, well, does that even matter? Lay butcher string out on a cutting board and top with the rosemary sprigs. Next top the strings with the sliced prosciutto. Place the pork roast fat cap side down in the middle of the prosciutto. Pull the strings and prosciutto up and tie them.